Sudsy Sweet Treats is sending its Oatmeal, Milk & Honey Sudsy Bath Bombs to the Consumer Products All-Press Gifting in New York City on June 18. It is also announcing a collaboration with Ali Sideris at Run Into Art, to benefit orphan elephants at The David Sheldrick Wildlife Trust (DSWT). The scent is relaxing to the senses, while soothing oatmeal and moisturizing milk and honey deliver skin healthy benefits. Artisan soap maker Ellie Poinsatte, founder of Sudsy Sweet Treats Bath Bakery (http://www.sudsysweettreats.com), creates nutrient rich, handcrafted bath & body products that look and smell like bakery desserts and candies. Ellie will be introducing Sudsy Sweet Treats' popular Oatmeal, Milk & Honey Sudsy Bath Bombs to magazine, newspaper and online editors, top bloggers and TV, radio and online producers at the Consumer Products All-Press Gifting in New York City on June 18. The Bath Bombs will be part of collaborative gift bags prepared by California-based The Artisan Group especially for the event. 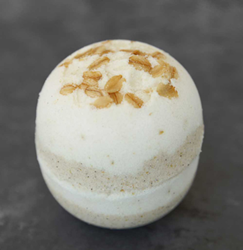 Almond oil, oatmeal, milk and honey powder and cinnamon are just a few of the ingredients that offer a relaxing and luxurious bath time experience—and make these Bath Bombs almost good enough to eat. The Oatmeal, Milk & Honey Bath Bombs are available to purchase at sudsysweettreats.com. The 7.8 ounce Bath Bomb retails for $5.50. Sudsy Sweet Treats has partnered with The David Sheldrick Wildlife Trust (DSWT) to raise awareness for the plight of the African Elephant and orphan baby elephants as the result of illegal ivory poaching. The company’s fundraisers, Sudsy Elephant Soaps and Orphan Ellie Foster Jewelry, raise money through the sales elephant-themed soaps, jewelry and accessories. 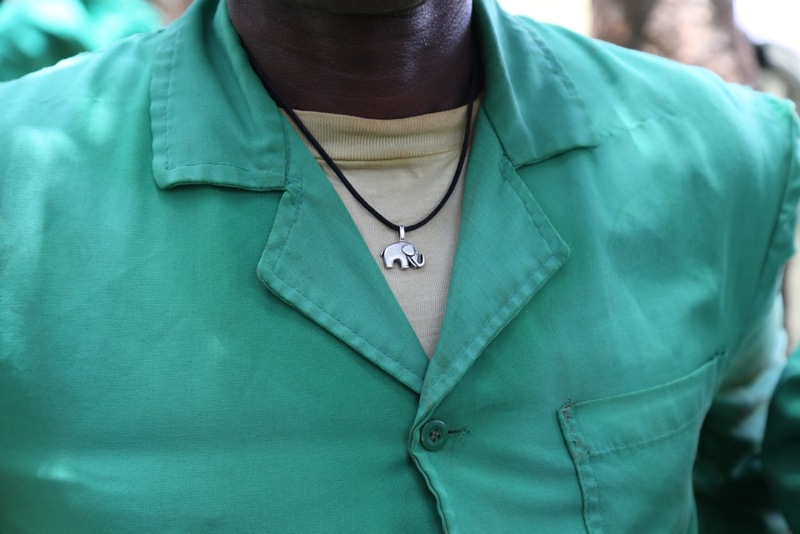 Proceeds help foster the orphan elephants under DSWT’s care. 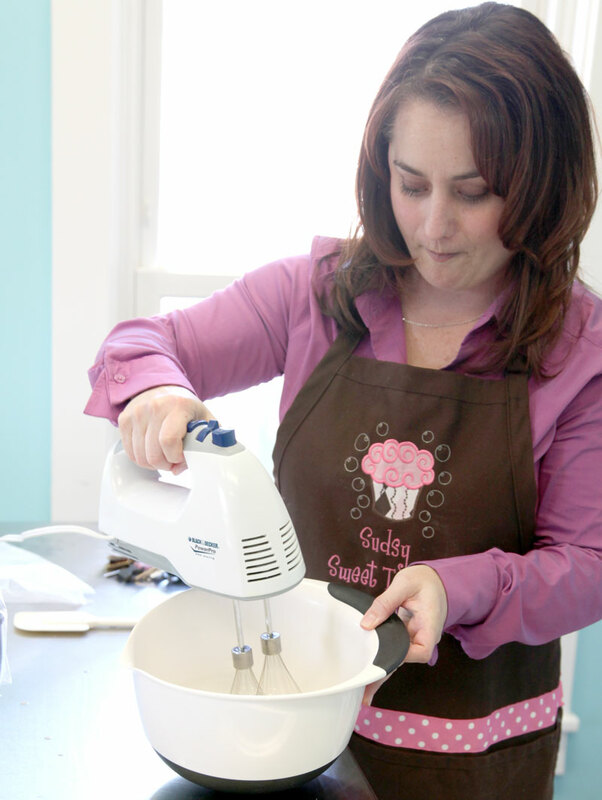 Since 2013, Sudsy Sweet Treats has helped raise over $5,000.00. Sudsy Elephant Soaps & Orphan Ellie Foster Jewelry is also proud to announce a collaboration with Ali Sideris and Run Into Art to design and sell an exclusive fundraising shoe for the DSWT featuring the DSWT orphan elephants. 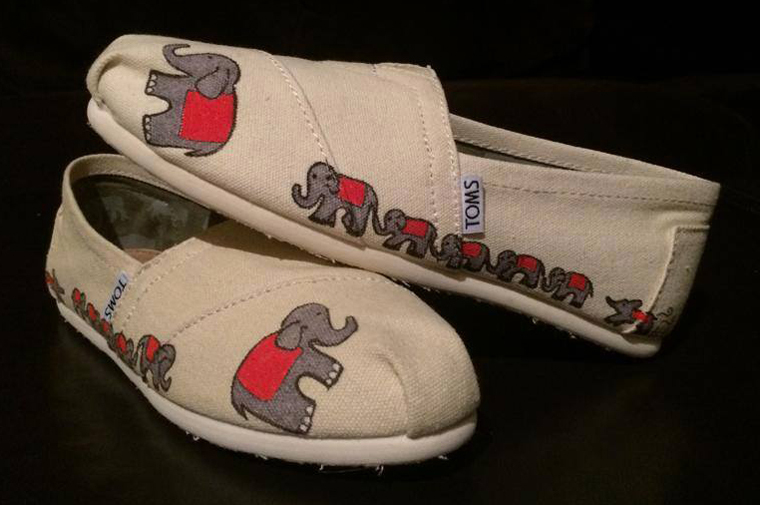 The limited edition TOMS elephant-themed shoes feature hand-painted images of red blanket covered elephants. The blankets symbolize love and support for elephants as an endangered species. When purchasing a pair of DSWT Orphan Ellie Foster Shoes, which retail for $110.00, 10 percent of the sale will go directly to the DSWT. 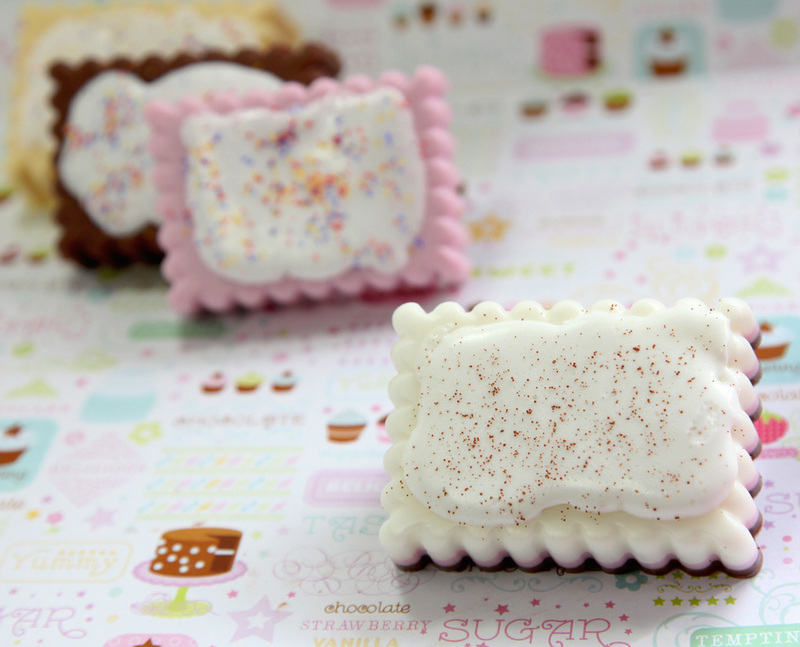 Sudsy Sweet Treats is available online at http://www.sudsysweettreats.com and in boutiques across the United States. Sudsy Sweet Treats has gifted its products to numerous celebrities including Scarlett Johansson, Drew Barrymore & Kelly Clarkson and many others, and regularly participates in elite pre-award show celebrity gift lounges for the Cannes Film Festival, the Golden Globes, the MTV Movie Awards and the Primetime Emmys, in partnership with The Artisan Group®. Sudsy Sweet Treats (http://www.sudsysweettreats.com) was founded in 2009. The company loves pampering customers with nutrient-rich, handcrafted bath/body products that look and smell like bakery desserts and candies. But their passion runs deeper, with dedication and generosity of spirit, Sudsy Sweet Treats believes it can help change the world, one soap bar at a time. The David Sheldrick Wildlife Trust (http://www.sheldrickwildlifetrust.org) is the most successful orphan elephant rescue/rehabilitation program in the world, having hand-raised over 150 infant elephants. To learn more, visit their website. Ali Sideris, a 2009 graduate from Columbia City High School, has created a way to not only use her artistic ability to start a business, but she has also discovered how to use that company to fund worthy causes. Run Into Art (http://www.runintoart.com) takes shoes, new or used, customizes them with hand-drawn art and then sells them with a percentage of the proceeds being donated to the purchaser's cause of choice. Limited Edition DSWT Elephant TOMS,dedicated to The David Sheldrick Wildlife Trust. 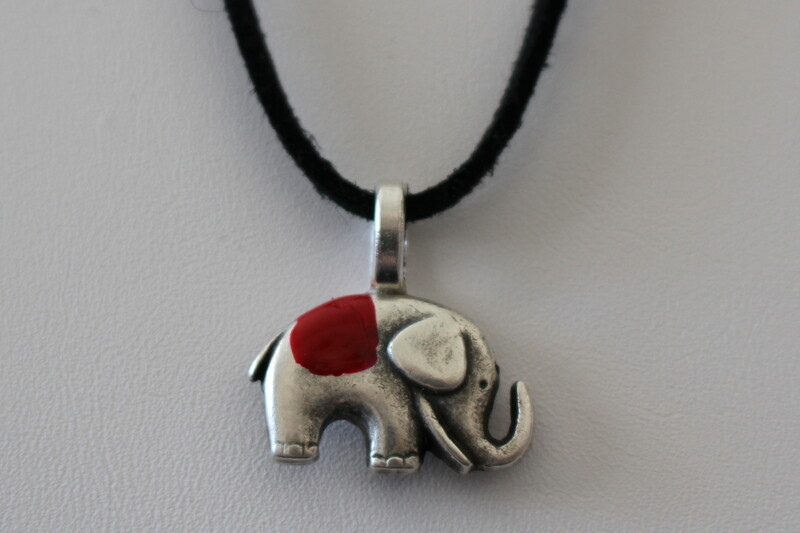 Orphan Ellie Foster NecklaceThis limited edition cord necklace features the little orphan ellie pendant wearing the signature DSWT red orphan's blanket. Orphan Ellie Foster Cord NecklaceAdjustable from 16" to 18". Available with black or brown cord. 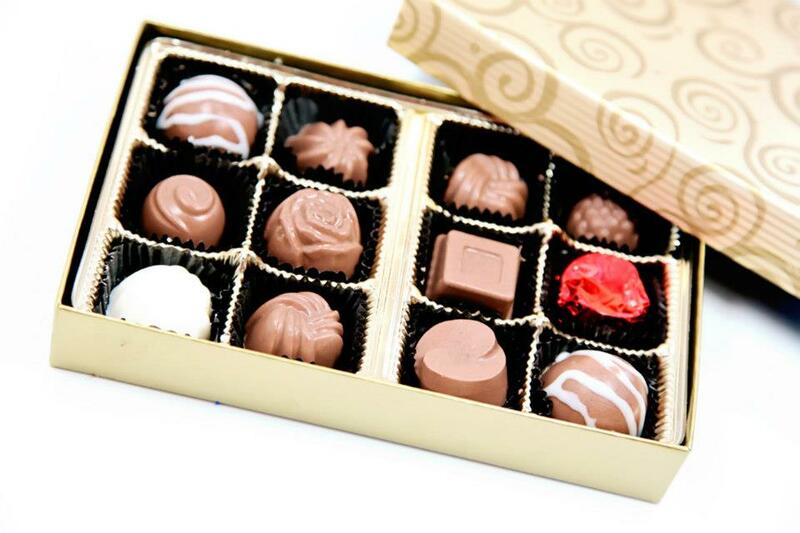 Ellie PoinsatteSoap Artisan and founder of Sudsy Sweet Treats in 2009 Chocolate Truffles Soap Boxed Gift SetDelicious assortment of candy soaps that smell as good as they look! Sudsy Cake SoapsA rich buttery glycerin soap base that's scented with a variety of pastry scents and topped off with real soap icing and jojoba bead sprinkles!